The United States has started to thaw out after a week of extreme cold weather. 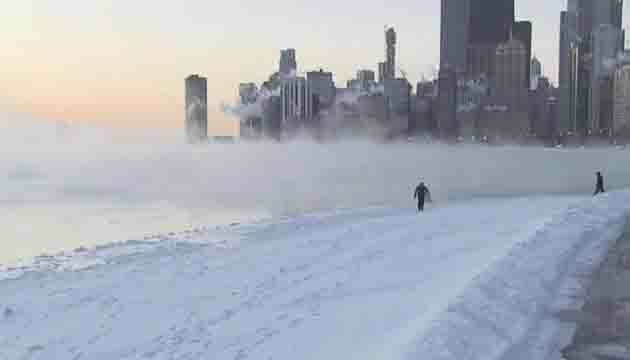 The national lowest temperature was measured at -48.9C in Chicago, Illinois during the cold streak. According to the World Meteorological Organization, the bitterly weather was caused by the influence of the Polar Vortex, which is a large area of low pressure and cold air surrounding the North Pole, which is normally trapped around the pole by strong counter-clockwise winds. As temperatures rose, schools reopened, businesses resumed, and people came back on the streets that had been empty for days in Chicago. “I like the warmer weather a lot. I stayed inside when it was cold. It’s wonderful that it’s warmer and I hope it lasts a long time,” said a local resident. This warm weather looks set to be short-lived with a maximum of around -1C on Tuesday, which brings the threat of the thaw turning back to ice. 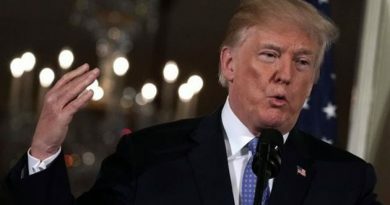 US President Donald Trump says, talks with North Korea may take place ” within three or four weeks”. 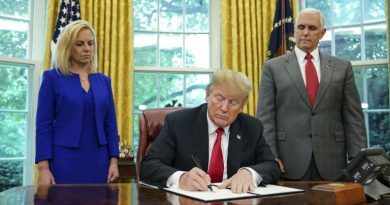 US president Donald Trump signs executive order ending child separation, that would keep families together. 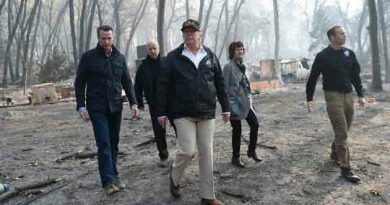 Death toll rises in California as Trump surveys wildfire damage, Nearly 1,300 are on a missing.